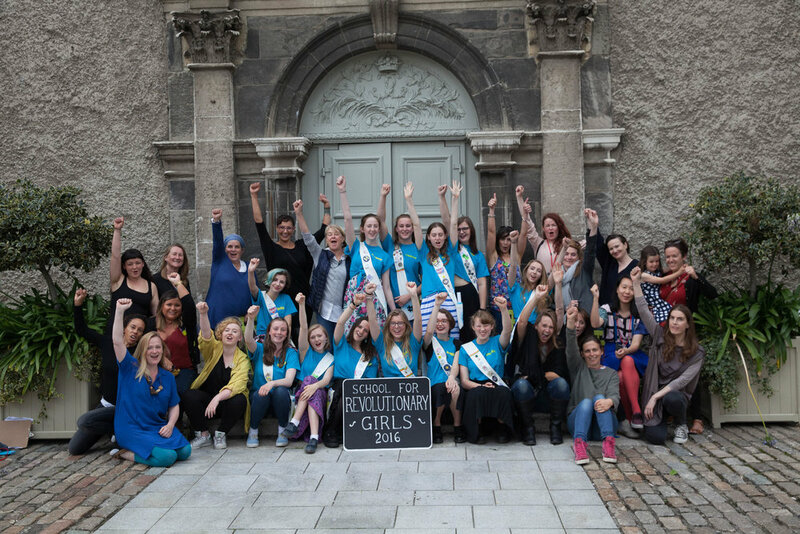 The School for Revolutionary Girls was a ten day project with twenty teenage girls who explored their relationship to the 1916 Rising of the Irish revolution and to contemporary issues facing young women in Ireland and around the world. This artistic "consciousness-raising" process combined group discussion, performance, and social media and a reading of manifestos in the courtyard of the museum. Working with historian, Liz Gelles, international students, Irish and US artists, and CREATE, they imagined the world as it is, and will be, developing creative expressions of their own unique "public voice."